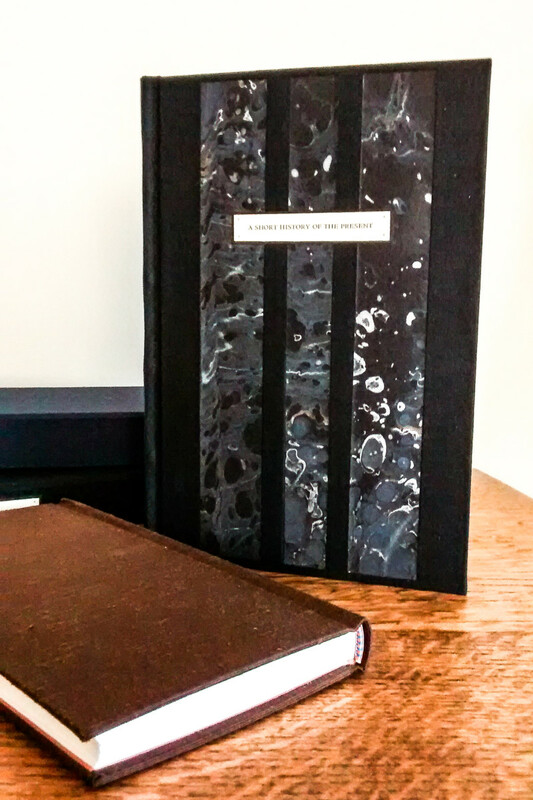 In 2013, I signed up for my first bookbinding course. It was a general interest course that ran for 3 hours every Tuesday evening for 11 weeks. It was kind of a whim—I just thought it sounded cool. 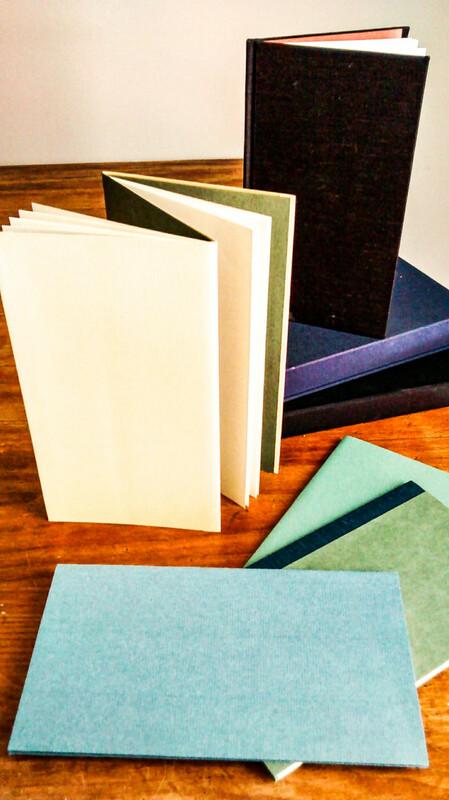 What I didn’t realize at the time was that this course wasn’t just my introduction to bookbinding—it was also my introduction to introduction to bookbinding courses. Because in the 5 years since then, I’ve been introduced to bookbinding 4 more times and counting. And the thing is, I always learn something new. Let me tell you about a few of my experiences, and you’ll see what I mean. The instructor of my first course, Mary Kritz, has had multiple solo shows of her work in the Ottawa area. She refers to herself as a book artist, not a bookbinder, and that distinction had an interesting impact on what she taught us. The course took place in a classroom that was also used for printing. We were instructed to bring our own decorative and found papers to class, along with a sketchbook of plain paper. We used the sketchbook paper to make our textblocks. The decorative papers were for the covers. 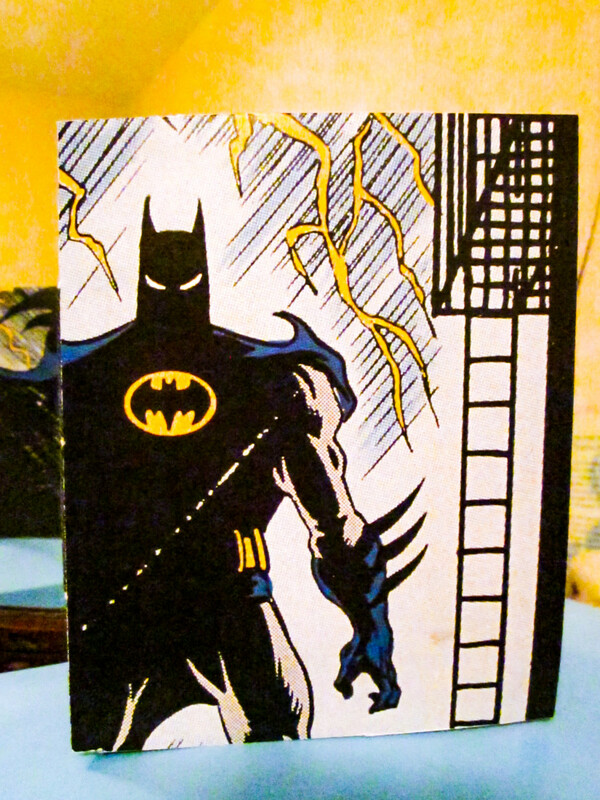 My first book was a single signature book made from an old Batman calendar. I’m still pretty proud of that thing. From there, things took a turn towards less conventional book forms. We spent one class making accordion books, and another making tunnel books. Mary’s book arts background really pushed the creative aspect of the class. We spent as much time developing concepts to turn into books as we did learning techniques and processes. There was a class devoted to making paste paper, and then a week making Coptic bindings, which I loved. The culmination of the course was a casebound book—and I was sick that week. So I didn’t learn how to make what most people picture when they think of a book, but I did learn plenty. And there were always other courses. I originally heard about the American Academy of Bookbinding from Mary. It’s located in a beautiful studio fitted out for the purpose of binding. I finally got the chance to go there in the summer of 2015. I loved it so much I’ve taken other courses there since. The instructor was Peter Geraty, the owner of Praxis Bindery. He’s made some truly outstanding fine bindings and is very mindful of conservation considerations in his work. In fact, he has such strong opinions on the importance of conservation and reversibility, that this course has forever coloured the way I approach my bindings. We began with some very simple structures—a single signature book, a flatback, and a dos-a-dos, among others. But we quickly came to what everyone was there for—the casebound book. There was book cloth. We learned how to sew headbands. There was even time to make a second one, with a real textblock with words and everything! developing your eye so you don’t always have to rely on your ruler. Peter also places a lot of value on his tools. He has since developed an entire course on the maintenance of bookbinding tools and equipment. But for our class, he took the time to show us how to sharpen knives by hand. Those are not necessarily the words I’d choose for the next course I took. To call the Newcastle Bookbinding Group a course is a little disingenuous. They meet 3 times a week in the basement of an old subscription library, and it’s an open door. Some people come a few times to try it out and then disappear. Others are there like clockwork. It has the feeling of a social group, and the participants are on average quite a bit older compared to other courses I’ve taken—mostly retirees instead of twenty-somethings. Some people work on personal projects, and others work on restorations. The group is lead by Derek Bradford, who has been professionally binding books for over 50 years. He’s semi-retired now, though, so most of the legwork is done by his extremely tall apprentice, Tim Gradon. All new attendees to the group are instructed on making two casebound books before being set free to work on their own projects. This is meant to serve not only as in introduction to binding techniques but also as an orientation to the space and tools. Everything looks as if it fits right in with the 17th-century building. Which is to say that it’s not all in the best condition—but it’s very much a working space that has seen a high turnover of binding projects. We used cartridge paper to make our signatures, as it really was more about learning the process than having a high quality finished product. That could come later. The first casebound book was a simplified version of what I’d done before. There was such a matter-of-factness about the way everything was done, you couldn’t help but feel like making a book was the most ordinary thing in the world. The second casebound book was made with no hinge, with the boards snug up against the spine. I found this interesting as Peter had spoken negatively about this style of binding—it places a lot of stress on the cloth or leather, and the boards have a tendency to fall off. More interesting by far, though, was learning how to gold tool the spines. I had a chance to try two different methods: a kwikprint style machine, and hand tooling. The hand tooling was especially fun. Looking back over the past five years of courses, it amazes me just how different each of them was. The instructor, the space, your classmates—all of these things come together to create a truly unique experience. My time with the Newcastle Bookbinding Group demystified binding after I’d already been studying it for a few years, and it gave me a strong sense of community in the bookbinding world. The course with Peter at the American Academy of Bookbinding gave me an appreciation for quality craftsmanship and conservation. 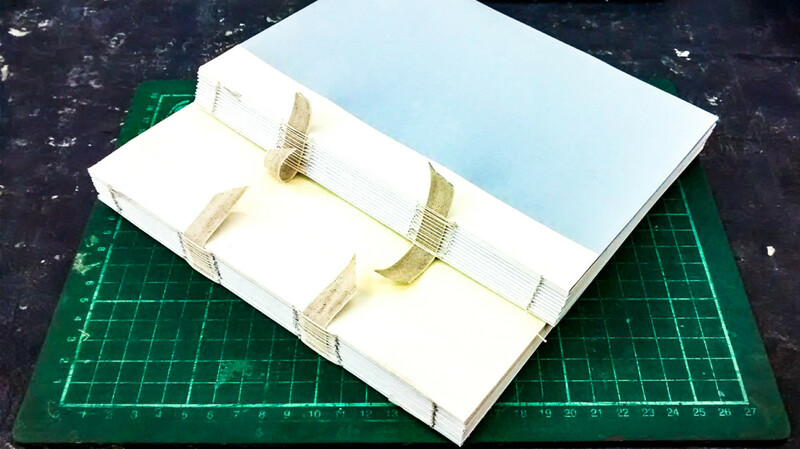 And all the way back in 2013, that first formative course with Mary Kritz, I was introduced bookbinding not as a process but as an art form. And I am interested in books as an art form. So many bookbinding courses emphasize technique and process, but artistic and design aspects are important to me as well. So I started my first year of art school four weeks ago. You can learn a lot by being a perpetual beginner.